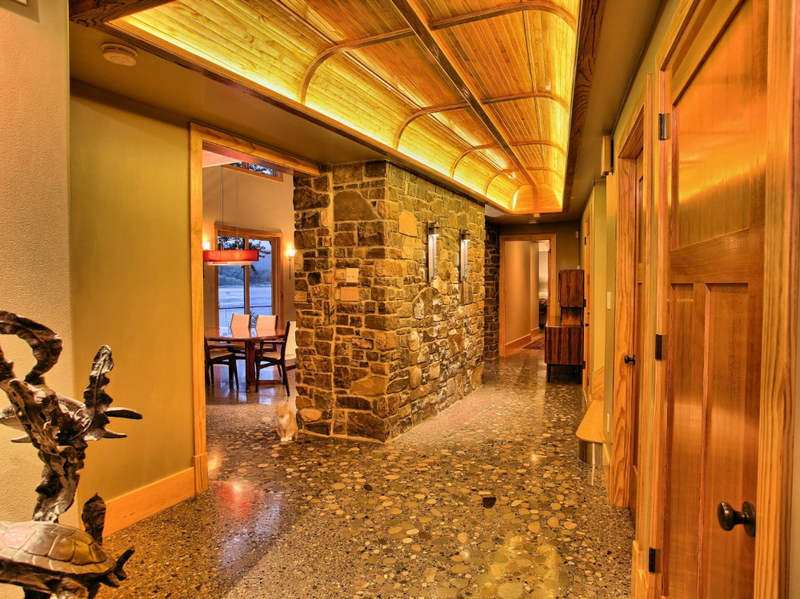 Decorative concrete delivers advantages and value in a number of ways. With the wide array of colors and textures to choose from the owner is virtually limited only by his or her imagination. There are also options regarding the method used to obtain your pavement enhancements. A brief list of those options is provided below. 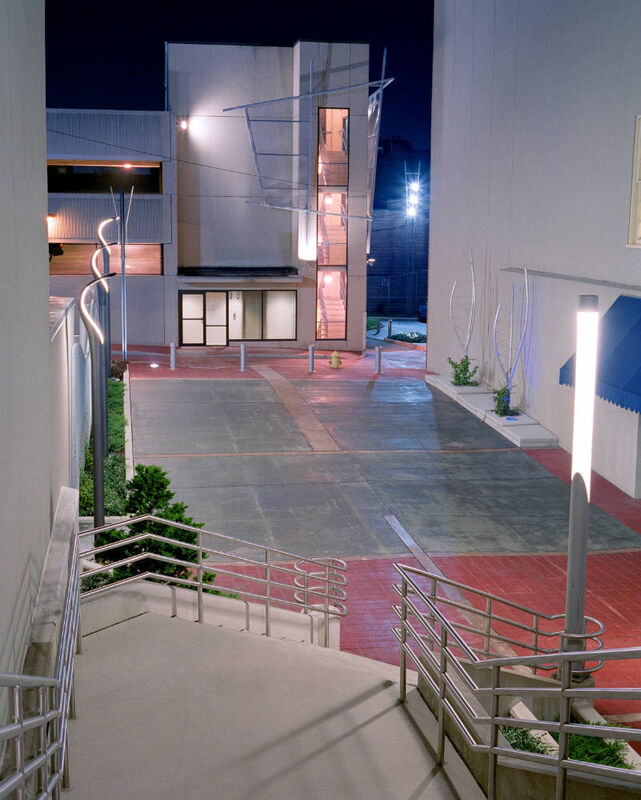 Integrally Colored Concrete - In this option the color of the concrete is distributed completely through the material. If the surface of the material is scarred or chipped the color of the concrete is still visible. The concerns of the past regarding fading and batch to batch consistency have been mitigated by the advent of today’s new color admixtures. Textured Finishes - The look of concrete may also be changed by texturing it’s surface. The texturing may be achieved through the use of chemicals or by sandblasting. These methods offer a variety of textures and provide the user with greater control over the amount of exposure and increased uniformity in appearance. Exposed aggregate concrete is an example of this technique. With an exposed aggregate finish the color of the concrete may be controlled to match or contrast with the type of aggregate in it. 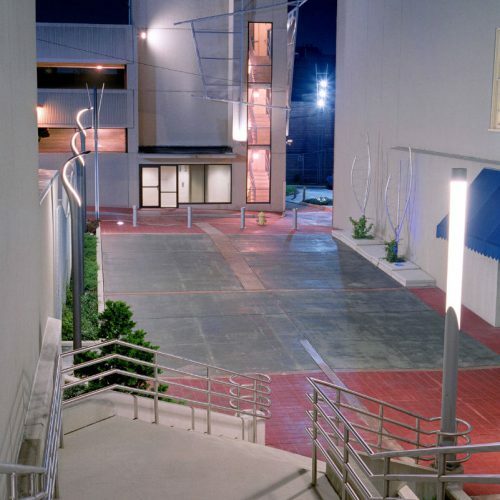 The slip resistant finish produced through exposing the aggregate allows for greater security for pedestrians in the case of inclement weather. 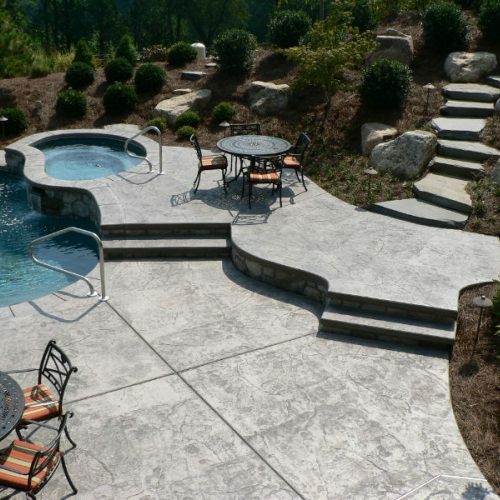 Stamped Concrete - Using this method the concrete surface can be made to replicate the pattern and texture of brick, slate, flagstone, cobblestone, stone, and even wood. The color is typically produce through the use of some type of shake on powder. 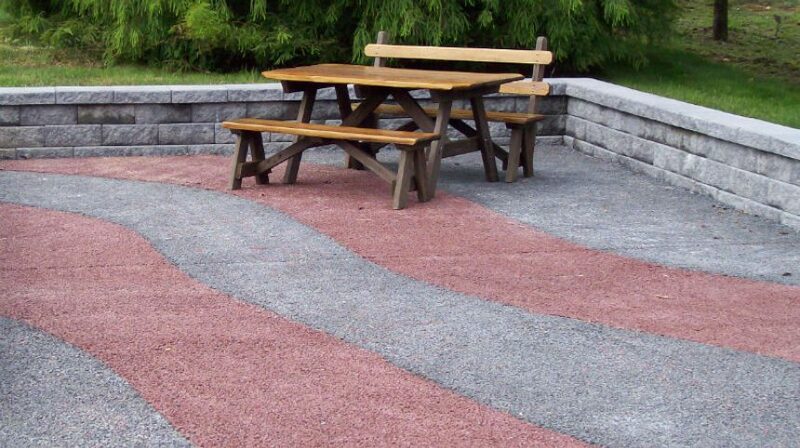 These shake on colors produce concrete with an extremely hard, mar resistant surface. 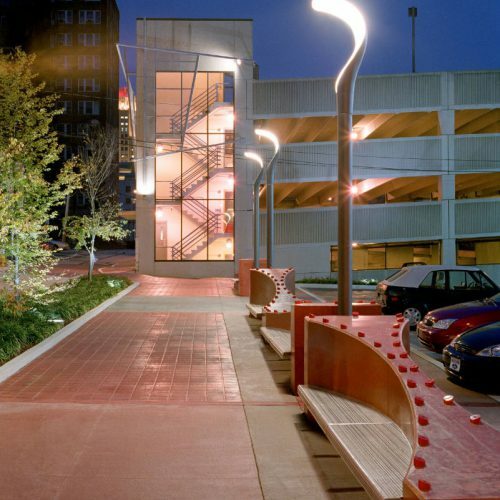 The advantage offered by stamping can be found in the savings realized during the installation process (as compared to laying brick or stone) and the long term performance of the pavement. Stenciling/Staining - These processes provide yet another avenue for the owner to consider to spice up the project. Stenciling involves masking off an area of the concrete and sand blasting, coloring, or etching the exposed area to produce a finish that leaves a pattern or faux finish. Stains, which penetrate to pavement surface, may be applied to produce a unique mottled finish to the surface of the concrete. 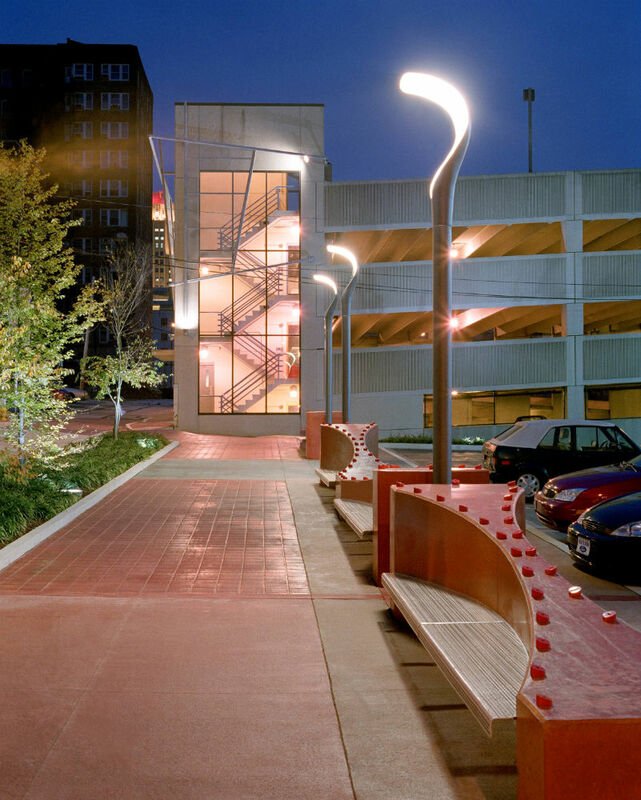 Are you currently working on a project that could benefit by using concrete? Perhaps the better question is what project wouldn’t benefit from using concrete? 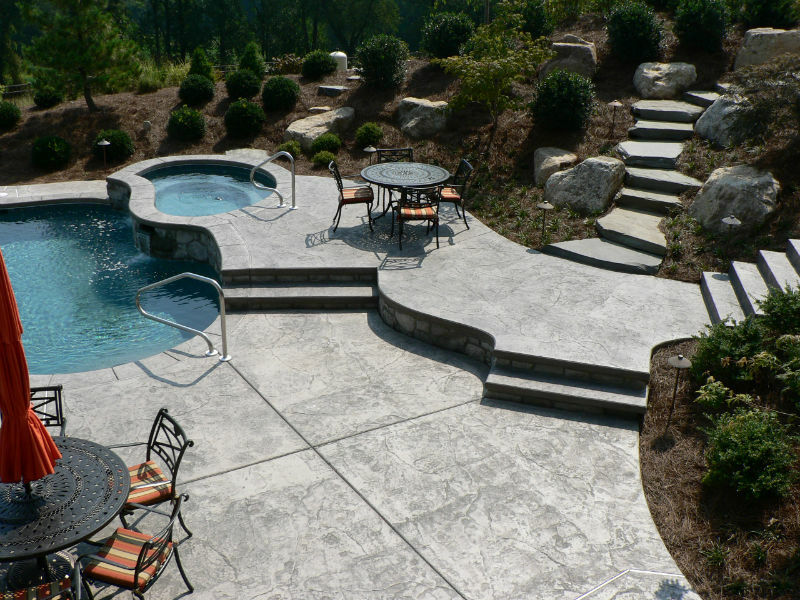 As illustrated in this article there are number of reasons why concrete should be your choice. Our organization would be pleased to assist you in the planning of your next project. Homeowners wanted a maintenance-free, natural looking enhancement for their swimming pool. 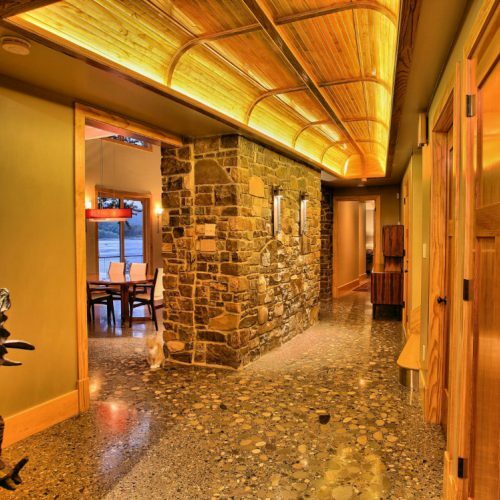 Decorative concrete was chosen to meet their needs. 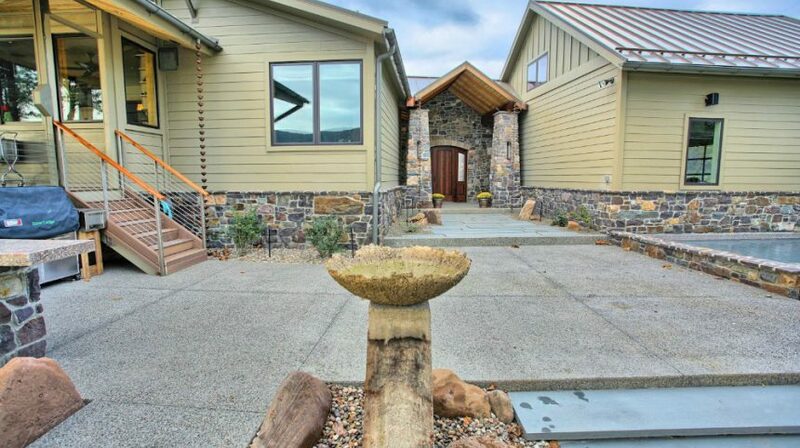 These homeowners wanted to build a "sustainable" home. 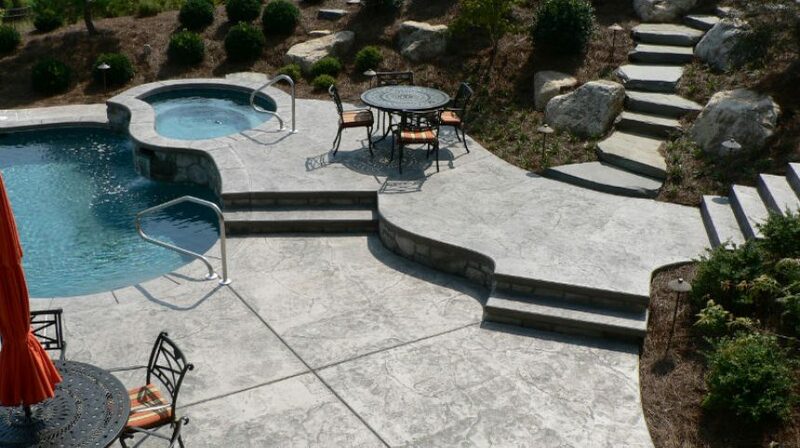 Decorative concrete helpd them achieve their goal. Pennsylvania Aggregates and Concrete Association 2012 Residential Project of the Year.